Southeast European Studies Association: The Institute of Linguistics "Iorgu Iordan - Alexandru Rosetti" is 60 years old! 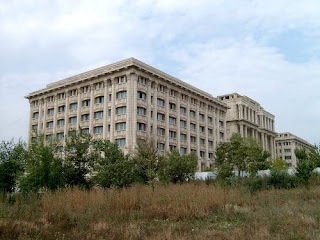 The Institute of Linguistics "Iorgu Iordan - Alexandru Rosetti" is 60 years old! The Institute of Linguistics "Iorgu Iordan - Alexandru Rosetti" of the Romanian Academy, amalgamated with the former Institute of Phonetics and Dialectology, is celebrating its sixtieth anniversary. The festivities include an assembly at the Aula of the Romanian Academy (28 September 2009, 10 am) followed by the opening of an exhibition at Casa Academiei (Str. 13 Septembrie 13). A volume will be published commemorating the research activities carried out by the Institute during its sixty years of existence.